Barry B. Wary loves to eat bugs. Crispy click beetles! Mayflies in June! A firefly soufflé by the light of the moon! But the bug-eating life is a bit lonely. 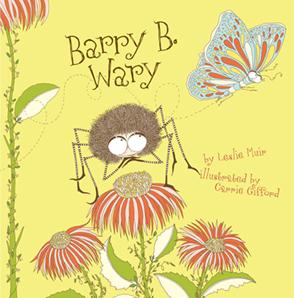 And when Barry encounters a magnificent butterfly, he’s determined to change his carnivorous ways to woo her.